Product prices and availability are accurate as of 2019-04-09 16:40:47 EDT and are subject to change. Any price and availability information displayed on http://www.amazon.com/ at the time of purchase will apply to the purchase of this product. 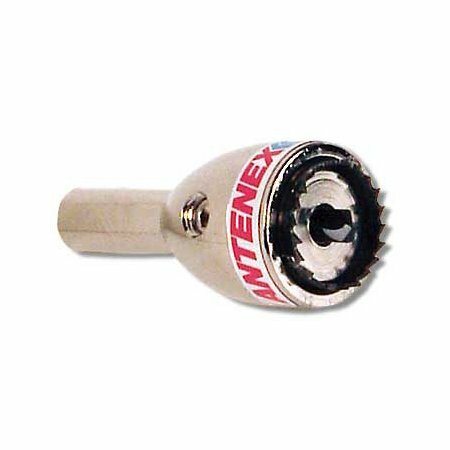 Laird Technologies - 3/4" Hole Saw, fits 3/8" drill Laird 3/4" X-ACT hole saw with blade. One Piece design machined from a single piece of hardened steel. Limits depth to 1/8". Fits any 3/8" chuck drill. The Laird Hole Saw features a replaceable self-centering pilot bit (HS34DB) that prevents dangerous "walking" of the saw and a replaceable hardened saw blade (HS34RB). It also features a 1/8" depth limit that will prevent damage to the underlying headliner, yet it is deep enough to cut through thicker aluminum surfaces encountered on utility vehicles and ambulances. 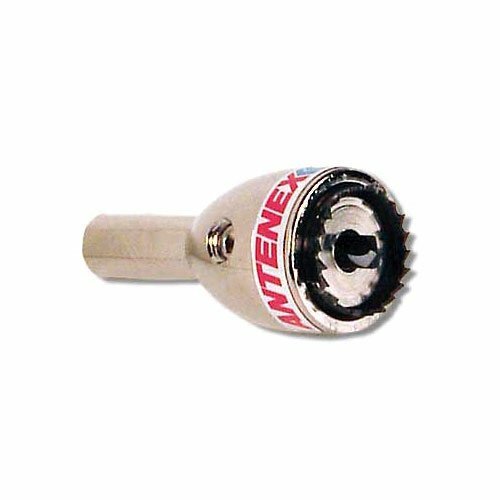 It is designed for a 3/8 drill chuck and is nickel-plated to guard the tool against corrosion.